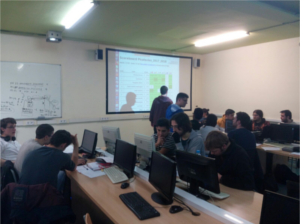 Wednesday 7 March was held in the school programming contest “Pica-keys” we do every year, with the participation of all students of the Higher Level Cycles computer. Also participating as guests a group of students and professors of the Institute Sabadell. You can see more photos of the contest here.